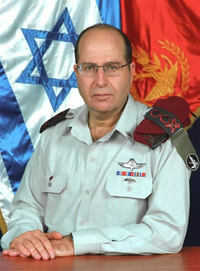 Lt. Gen. Moshe Yaalon, who served as Chief of Staff of the Israel Defense Forces (IDF) from 2002 to 2005, after serving as Deputy Chief of Staff from 2000 to 2002 -- and who was thus at the top of the IDF for the entire post-Oslo war, before Ariel Sharon reversed course -- spent more than an hour today on a bloggers conference call organized and chaired by Allen Roth of One Jerusalem. There is a good summary of the call there. Yaalon repeated several times that the outcome of the Hezbollah War was the result of mismanagement by the political and senior military levels (who he thinks should resign), not a result of lack of IDF capability. He said the IDF called up more people to manage the Gaza disengagement than it did for the war in Lebanon. Not even 10% of the IDF forces were used. He believes the root cause of the situation is not the occupation of the West Bank, but rather an Iranian goal to implement an “Islamofascist ideology” (his term) and that Israel deceived itself into thinking that territorial compromise was a solution. After prior withdrawals resulted in the creation of Hezbollahstan and Hamastan (his terms), to think now about withdrawing from the West Bank “is to be blind.” He thinks military operations in Gaza should be intensified, and that Israel should retake control of the Philadelphi corridor. Senator John McCain said recently: “There is only one thing worse than the U.S. exercising a military option, and that is a nuclear-armed Iran.” I agree with him. But before going to the military option, Iran must be isolated politically and economically; the military option can be used only when these methods have been exhausted. But the most stunning part of the call came in his answer to the question of Jerry Gordon of Israpundit about the existence of corruption in Israel. Ya’alon said the subject could consume “another conference call” and that he worried “more about this phenomenon than the Iranian threat.” He views it as “the most important challenge” facing Israel, and that it has accounted for the mismanagement and incompetence of Israeli leadership. Of late there is more and more talk about corruption. You were prime minister, you were finance minister. Is Israel a corrupt country? "There is corruption in Israel. It is increasing. In the past few years it has been growing and deepening at a dizzying pace. But those who talk about corruption are generally off-target. They talk about the connection between the member of [a party's] central committee and the politician who gets him a job in order to win his support. But that is a relatively minor phenomenon, and even when it happens, its material scope is limited. Therefore I say that this is only the tip of the corruption iceberg. It is the less important 10 percent that is above the water. The more serious corruption is below the surface. It is hardly talked about; it is hardly known about. But it is the truly worrisome corruption, it is the true danger." Has the corruption in Israel become worse in recent years? "Unequivocally, yes. Look at the international indices that examine corruption. But at the same time it is important to emphasize that when it comes to the wealth-government connection, most of the owners of capital are not part of that connection. Nor are many of those in government. But between a small group of the wealthy and a certain group of people in power, there is a connection on an astounding scale. And therefore I say that corruption has become a cancer. It is a millstone on the economy. It is hindering growth and it is liable to develop to Argentine dimensions. Argentina is a very rich country that stagnated economically because the corruption there became a curse. Once a country sinks into the quagmire of corruption, it is very difficult to get out of it." My principal thought after yesterday’s call is how different things would have been had Israel’s leadership at a moment of trial been Netanyahu, Sharansky, and Ya’alon -- all of whom left the government or were removed from it as a result of the disengagement plan -- instead of Olmert, Peretz and Halutz. Fortunately, in a democracy, these things can be corrected. (Be sure to check out Westbankmama’s excellent post on the call as well. In response to a question from Anne Lieberman of Boker tov, Boulder! about what caused Sharon's disengagement reversal, Ya'alon said he had an English translation of an article he wrote in Hebrew, and will provide it to One Jerusalem; it should be worth reading). UPDATE: Boker tov, Boulder! has a very perceptive post on the call. Atlas Shrugs has a good post and a transcript (how does she do that?). Brian of London participated in the call in a Starbucks across from Scotland Yard. Gateway Pundit’s post is here.
. . . Thus history is inverted, half a century of Jewish victimization is erased from public consciousness, victims are turned into aggressors and genocidal mass murderers turned into victims, and ignorance and prejudice stalk England’s once staunch and stalwart land. That’s why the fact that hundreds of thousands of refugees from the north of Israel fled to the shelter of strangers in the south; that within one third of Israel, those too poor or old or handicapped or disadvantaged to seek refuge elsewhere were forced to live in shelters for a month in great hardship; that the entire economy of northern Israel was effectively shut down for a month; that thousands of rockets were fired at northern Israel, hundreds every day, many times more than were daily fired at Britain during the Blitz -- that’s why none of this was reported in Britain (where as a result such facts, when now related, are received with open-mouthed astonishment) . . . . The conclusion of her article is chilling. Walt & Mearsheimer appeared yesterday before the Council on American-Islamic Relations (CAIR) in Washington, D.C. to discuss their theory that “neocons” (specifically “Wolfowitz” and “Feith”) misled U.S. foreign policy, and that an “Israel Lobby” prevented a “more flexible” Iran policy. But even with diplomatic support, money, prisoners, land, and an exemption from his Road Map responsibilities, Abbas couldn’t control even his own terrorists in the Al Aska Martyr’s Brigade, nor eliminate the rampant corruption in his own party (even with his famous committee). And then the Palestinians, without consulting the neocons, elected Hamas. My “Mel Gibson Postscript” resulted in some interesting emails. Joerg Wolf, one of the editors of Atlantic Review, emailed a link to his post on “Anti-Americanism and Anti-Semitism,” which is worth reading, as well as this one and this one (regarding Germany and Israel) -- worth reading as well. Mel Montgomery, who has graced this blog in the past with comments from a Christian perspective, did so again with a thought-provoking comment, arguing that forgiveness without preconditions is the appropriate response. It too is worth reading. It causes me to quote below a view I had originally thought of including in my post, but then decided to omit (for reasons discussed below). Even after acknowledging his drunken and profane tirade against the Jews, Mel Gibson insists that he is no anti-Semite. It may be that he is merely being cynical: that he is a thorough anti-Semite who finds it politic to deny the fact. Or it may be that he has some strong anti-Semitic impulses but recognizes, most of the time, that these impulses are wrong and should be resisted. It is both charitable and plausible to assume the latter. While reasonable people can disagree about the merits of his movie The Passion of the Christ, we do not think it was anti-Semitic; and this sad and troubling episode has given us no reason to change that view. Because Gibson is a celebrity, his words will be forever attached to his name. How many of us, unprompted, could attach anti-Semitic deeds to the names of Naveed Afzal Haq, Hesham Mohamed Hadayet, and Rashid Baz? The first of those names got into a Jewish charity office in Seattle the other day and shot six women, killing one. The second opened fire at Los Angeles International Airport one day in 2002, while standing in line at the ticket counter of Israel’s El Al Airlines. He killed two people and wounded four others. The third shot up a van full of Hasidic Jewish boys on the Brooklyn Bridge in New York City back in 1994, killing one boy and wounding several others. All these acts were inspired by anti-Semitism, as the perpetrators made plain. While we contemplate this horrid blight, and put names to it, let the first names we think of be those of people who did not merely speak while drunk and angry, but planned, resolved, and acted on their vile beliefs. It would be better if the first (and indeed only) names we remember were those of Pam Waechter, Yakov Aminov, Victoria Hen and Ari Halberstam -- each one an entire world, shot at the Seattle Jewish Federation and the El Al counter at LAX and the Brooklyn Bridge, as the result of a virulent disease now rampant once again in the world, fanned by words. I would have been more receptive to the word-deed distinction, and the call for charity and forgiveness (about which I’ve blogged before), had I not been directed by an email from a third reader over to MEMRI, where I found the report of Al Jazeera’s coverage of an influential Pakistani general’s press conference, citing Gibson’s words to support the general’s anti-Semitic tirade -- broadcast to millions, inciting who-knows-how-many future names to be remembered first, for the deaths of people whose names should be remembered only. Gibson’s words are now out there, being used to infect others, implicitly backed by his assurance while sober (in the face of prior accusations of anti-Semitism) that his anti-Semitic father never lied to him. He needs to appear on Al Jazeera, not as a precondition for forgiveness, but because at this point he owes the world more than an apology, more than words. CALLER: “Yeah, um, Larry, I’d like to ask Mr. Gibson how, exactly, he thinks that all the wars in the world were started by Jews. "When Mel Gibson, in one of his movies, played a role that was anti-Israeli, anti-Jewish, the Jews claimed that he was an anti-Semite. That American actor, Mel Gibson, said that the Jews caused all the wars. Now he is being sued. Therefore, all the wars, World War I and II, and others . . . . He needs to go on Al Jazeera first and apologize to the Jewish people. In the space of five weeks, trees that took one hundred years to grow were burned to the ground by Hizbullah rockets. The Israeli north became one vast ghost town, Kiryat Shmonah was devastated, more than a million Israeli refugees were forced to flee . . . But little of this has been shown by the world media, which has focused obsessively on the Lebanese civilian dead. The Olmert government, which had gone to war to win the release of the kidnapped soldiers being held hostage by the terrorists, signed a cease-fire agreement in which it gave up the demand for the soldiers’ immediate and unconditional release. The cease-fire was a complete capitulation by Israel, which got a promise of a few more UN troops to sunbathe in Lebanon. But UN troops have been “patrolling” the south of Lebanon since 1978 and have yet to stop a single Katyusha or mortar attack, or even a single stone from being thrown over the border fence. Today, Hizbullah has risen up against Israel. Tomorrow, radical Islam will rise up against the rest of the non-believers, the kafir. Civilization -- democratic values, economic progress, rational inquiry, coexistence -- has already tasted terrorism. In Bali, Breslav, Buenos Aires, Baghdad and Brazil; in Darfur, Calcutta, Turkey, Morocco and London; in Sharm el-Sheikh, Saudi Arabia, New York City, Amman, and Madrid. 15 cities -- not counting Jerusalem, Tel Aviv, Haifa, Netanya, Ashkelon, Kiryat Shmonah and Sederot -- in Europe, Russia, South America, Southeast Asia, Africa, India, England and America. And counting. Do Syria and Jordan Have a Right to Exist? By which she meant that, as I publicly “defend” Israel . . . and as I have a suspiciously Jewish-sounding name, I’ve been routinely assumed, at least since 9/11, to be a Jew. I’m honored to be so mistaken.
. . . I am [presumably] a Jew, because, after all, only a Jew could “defend” Israel, right? I don’t really “defend” it on anything but utilitarian grounds: Every country in the region -- Israel, Jordan, Lebanon, Syria, Iraq, Saudi Arabia -- dates as a sovereign state from 60-70 years ago. The only difference is that Israel has made a go of it. So should we have more states like Israel in the region or more like Syria? . . .
And the minute people start arguing about going back to the “1967 borders” or the “1949 armistice,” I figure, Why stop there? Why not go back to the 1922 settlement when the British Mandate of Palestine was created and rethink London’s decision to give 78 percent of the land to what’s now Jordan. . . . [W]hy should 40- or 60-year old lines on a map be up for perpetual renegotiation but 80-year-old lines be considered inviolable? If, say, some fellows in Mexico had kidnapped California state troopers and were lobbing rockets randomly into residential areas of San Diego and Los Angeles, even La-La-Land libs would be demanding the US respond. It's only the Israelis the world wishes to deny the conventional rights of sovereignty. In other words, it's the legitimacy of the state that's at issue. In effect, Israel has become the geopolitical version of the European Jew, who's allowed to operate a store in the town but not to exercise full ownership rights. In the old days, Jews faced property restrictions; now they face sovereignty restrictions. The full text of Steyn’s “Espying the Jew” is here. UPDATE: Ocean Guy has a very interesting comment on this: Re-Drawing the Map. See also David Bernstein on "Does Japan have a right to exist as a Japanese state?" Power Line calls Bush’s performance at his press conference yesterday “bravura,” and reproduces his exchange about Israel with Helen Thomas, the “dean” of the Whitehouse press corp. It is worth reading. THE PRESIDENT: Right, I've listened to them very carefully. I'm a thoughtful guy, I listen to people. (Laughter) I'm open-minded. I'm all the things that you know I am.
. . . Look . . . elections are won based upon economic issues and national security issues. And there's a fundamental difference between many of the Democrats and my party, and that is, they want to leave before the job is completed in Iraq. And again, I repeat, these are decent people. They're just as American as I am. I just happen to strongly disagree with them. And it's very important for the American people to understand the consequences of leaving Iraq before the job is done. . . . In the short-term, we've got to have the tools necessary to stop terrorist attack. That means good intel, good intelligence-sharing, the capacity to know whether al Qaeda is calling into this country and why. We've got to have all those tools -- the Patriot Act, tearing down those walls between intel and law enforcement are a necessary part of protecting the country. But in the long-term, the only way to defeat this terrorist bunch is through the spread of liberty and freedom. . . . I believe it's a challenge of this -- the challenge for this generation. . . . I'd be telling people that the Democrats will raise your taxes. That's what they said. I'd be reminding people that tax cuts have worked in terms of stimulating the economy. . . .
That's what I'd be running on. I'd be running on the economy, and I'd be running on national security. [Bush’s] appearance comes as Mr. Bush and his party face the most daunting electoral challenge of his presidency, with continued voter dissatisfaction over the course of the Iraq war . . .
Democrats have pointed to polls showing public support for the war is continuing to wane . . .
Analysts from both parties have described the war as the biggest political liability facing the Republicans this year. . . . The dissatisfaction over the war now extends even to Republican officeholders . . . .
[P]olls now show that a majority of American now have doubts about progress in Iraq. . . . Strategists on both sides have pointed to Iraq as a major drag on the president’s popularity, which in turn has been a drag on the Republican Party. . . .
As for flagging support for the war in Iraq, Mr. Bush said . . .
Last week, after the adoption of UN Resolution 1701, both Ehud Olmert and Benjamin Netanyahu addressed the Knesset. Olmert’s speech is here. Netanyahu’s speech is here. [100 years ago] [o]ne leader, Herzl, saw the burning coals of anti-Semitism and understood that they would kindle a great conflagration that would first consume European Jewry and then all Jewry. . . . He understood that if the Jews would gather in their ancestral homeland, they would be able to reestablish their sovereignty and thus thwart the threats to their survival and future. Today I say: we stand before a grave danger, a new conflagration that threatens to consume our people. This is a threat not only to our soldiers, our citizens and our economy. It is a threat to our very existence. Our sages taught us that in each generation new enemies rise who seek our destruction. But not since Hitler has there risen such an arch enemy of our people like Iran's president, Ahmadinejad, who openly declares his intention to annihilate us, and who is developing nuclear weapons for this evil purpose. . . . This is an existential danger that must be recognized now, while there is still time to act. I wish to emphasize three points that I believe are crucial for ensuring our security and our future. My first point: The concept of unilateral withdrawals has collapsed. This is not only my personal view but a growing realization that has trickled down to almost every part of this house. . . .
My second point: The root cause of the conflict has been finally exposed. This is not a conflict about a particular piece of land. We withdrew from every inch of Lebanon, yet we were attacked. We withdrew from every inch of Gaza, yet we were attacked. . . . But our enemies wish to destroy not only us. And this brings me to my third point: The need for alliances . . . . We can establish alliances today precisely because the threat of militant Islam is not directed at Israel alone but is also directed at many other nations. . . This war caught many of us sleeping, and we received a wakeup call. . . .
Our public duty includes telling the truth, and I tell it here: Regrettably, there will be another round of confrontation. . . . What we have today is a respite between the battle ended and the battle ahead. We will use this respite to rebuild our strength, but we must understand that our enemies will do the same. They too will rearm and refortify their positions, because frankly there is nothing to prevent them from doing so -- not any political agreement nor any UN resolution. . . . I believe that the day will come when a new Cyrus will emerge in Persia to replace the genocidal Haman of our day. But . . . even if more challenges and struggles lie ahead, with God's help, "Judea will rest assured" and the people of Israel shall dwell in their land for eternity. Israel's recent defeat, for one thing. Yes, you read that right. The truth is that Israel got a relatively cheap, if embarrassing, wake-up call. And Israel's a part of Western civilization, not of the Middle East's decaying cultures. What means that Israel doesn't just wallow in blame -- like Americans, Israelis figure out what went wrong and then fix it. After the post-war soul-searching and investigations are finished, failed leaders will be replaced and Israel will re-emerge with a renewed sense of mission, a stronger government and a powerfully reformed military -- the next time the IDF goes to war, watch the way it devastates its enemies. In his speech, Netanyahu said the war “summons us to return to reality and to return to ourselves, to those values and principles that guaranteed our survival in the past and will guarantee it in the future.” The long attempt to create peace by retreat is over. He is an engaging, polished speaker, and the book is both an interesting theoretical and historical explanation of neoconservatism and a spirited argument for its centrality to contemporary foreign policy. 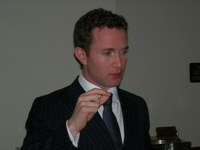 Douglas Murray isn't a man you'd immediately peg as being a self-described neoconservative and Zionist. Eton and Oxford educated, an Anglican -- sorry, a "practicing Anglican," as he corrects me -- and complete with the chiseled features and upper-class accent one associates with the British aristocracy, Mr. Murray almost seems out of place declaring his admiration for the Jewish State, Leo Strauss, and everything else the left sneeringly associates with neoconservativism. But the man who tells me with complete certainty over a dinner on Manhattan's Upper West Side that "any sensible person is a Zionist," who when in Holland needs police protection and stays under an alias, can hardly be described as an ordinary individual. . . . Upon finishing Oxford he wrote a play, "Nightfall," about the Swedish anti-Nazi hero Raoul Wallenberg. . . . Mr. Murray lectures and debates across Europe in support of what he describes as neoconservative foreign policy. 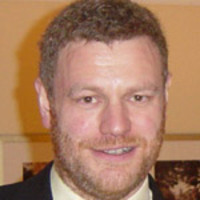 He also writes for, and is profiled in, numerous publications, and is known on the British television chat show circuit as "Britain's only neoconservative." With such a resume it's hardly surprising that Mr. Murray has been described as a "prodigy" and a "great hope" in Europe. . . . It is impossible to understand just how inimical -- and how deadly -- to the United States and to Europe this rising tide of militant Islam is without taking a look at the roots of Arab-Islamic hatred of the West. Because of the Western media’s fascination with Israel, many today are under the impression that the intense hostility prevalent in the Arab and Islamic world toward the United States is a contemporary phenomenon, the result of Western support for the Jewish state, and that such hostility would end if an Arab-Israeli peace was eventually reached. But nothing could be more removed from the truth. The enmity toward the West goes back many centuries, remaining to this day a driving force at the core of militant Arab-Islamic political culture. And this would be the case even if Israel had never been born.
. . . For neocons, Netanyahu’s warnings had proved accurate. “The democracies have wasted much time in addressing the question of resurgent Islamic terror,” Netanyahu had warned in 1995. “They are approaching the twelfth hour. They can wait no longer.” Yet wait they did, and the twelfth hour arrived in the skies of New York, Washington, and Pennsylvania. Not bad for a 27-year old Anglican.